Wantman Group, Inc. (WGI) is pleased to announce that Adam Schildmeier recently joined the firm in its Corporate office located at 2035 Vista Parkway in West Palm Beach in the company’s Civil Engineering and Planning Division. Adam brings over 10 years of public and private sector experience to WGI with specific expertise in site-civil design and project management. He has extensive experience working with big box projects throughout the central and south Florida regions and has worked on every phase of design and construction from due diligence packages and entitlement representation to permitting and construction observation. “We are fortunate to have someone with Adam’s experience join WGI,“ said David Wantman, PE, president of Wantman Group. “His experience with multiple Lowe’s, Walmart, Sam’s Club, and Target projects, coupled with his broad knowledge of the varied design and construction issues specific to these projects, is an asset as we continue to serve our wide range of land development clients, ” said David Wantman, PE, president of WGI. 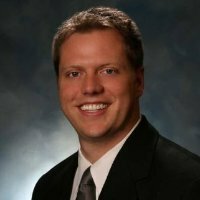 Adam holds a Bachelor of Science degree in Civil Engineering from Purdue University and is an active member of the Florida Engineering Society, currently serving as the Treasure Coast Chapter’s State Director. He has earned his Professional Engineer’s license and is also a LEED Accredited Professional. As a multidisciplinary consulting firm, WGI has six offices throughout Florida and is comprised of eight separate divisions devoted to the following disciplines: Civil Engineering, Municipal Engineering, Transportation Engineering, Surveying and Mapping, Subsurface Utility Engineering, Construction, Environmental, and Planning services. WGI is among the 437 private growth companies that were Hire Power Awards honorees for 2013 and is featured in the 2nd annual edition of Inc. Hire Power Awards, recognizing the private businesses that have generated the most jobs since 2012. ZweigWhite ranked WGI #41 on the “Top 100 Fastest Growing Companies” list, as well as the “Best Firms to Work For” list. Additionally, The South Florida Business Journal recently ranked WGI number 6 on the “Top 25 Engineering Firms in South Florida” list and ranked 3767 on the 2014 Inc. 5000 list of the fastest-growing private companies in America. For more information, call 561.687.2220.